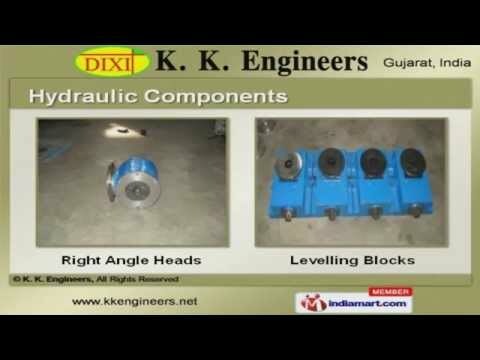 Welcome to K. K. Engineers Manufacturer & Exporter of Industrial Equipments. The company was established in the year 1994, at Surat. Our TQM implemented unit & skilled workforce help us to cater Indian Subcontinent & Middle East. Essar Steel Ltd. , L&T Ltd. & Birla Cellulose are some of our esteemed clients and we are backed by Customization policy & Competitive prices. We offer a vast range of Hydraulic Presses, Components & Welding Automation Equipments. Our Welding Automation Equipments are well known for their durability. Monorail Trolleys, Transfer Wagons & Roller Conveyors are the types of Material Transfer Equipments offered by us. We offer Hydraulic Presses that are well known for their functionality. We also provide Custom Built Machines - SPMs that are superior in performance. Along with that we offer Hydraulic Components that are a class apart.